In the early 1960’s detailed climatic studies revealed that Margaret River’s winegrowing climate was similar to that of Bordeaux, particularly Pomerol. Diana and Kevin Cullen seized on these conclusions in 1966, when they planted a trial acre of vines on their sheep and cattle farm. Its success led to planting 18 more acres in 1971. Cullen remains in family hands, and is now farmed biodynamically, with all fruit sourced from its own Cullen Estate and Mangan vineyards. 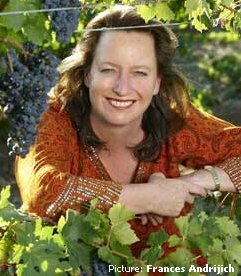 Diana Cullen went on to become one of Australia’s most respected winemakers, though today her daughter, Vanya, is Chief Winemaker. Vanya’s experience overseas has included stints at Mondavi in California and Joseph Drouhin in Burgundy. Sustainability is a key word in Cullen’s established, dry-farmed vineyards, which were certified organic in 2003, and biodynamic one year later. A blend of Sauvignon Blanc, Semillon, Chardonnay and Verdelho, this is fresh and leafy, with little herbal and grassy notes to apple fruit. The palate has just a hint of sweetness, with a real tropical ripeness to the fruit, bursting onto the palate. Plenty of pithy acidity to finish too. 90/100.